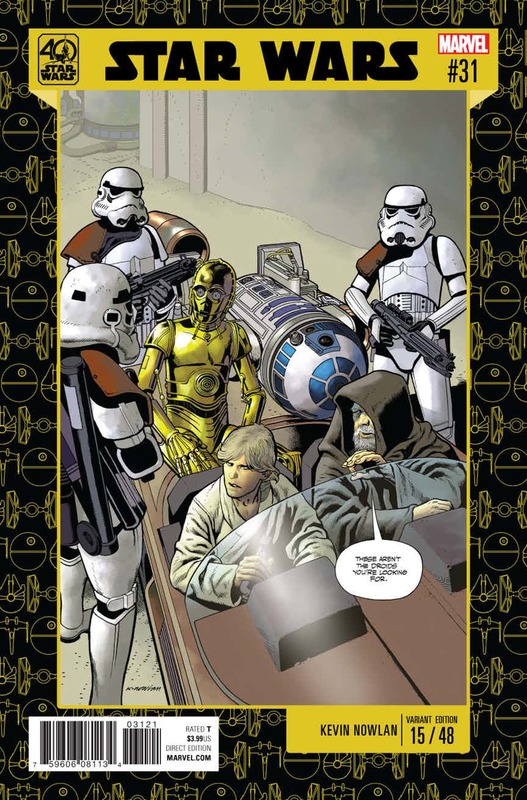 Star Wars #31 is a by-the-numbers Gothic horror issue, hopefully setting us up for some fun twists along the way. Marvel’s shown a remarkable amount of restraint with the Star Wars franchise. After all, the company is well known for its usual cycle of annual events. In spite of that though, ‘The Screaming Citadel’ is only the second event since 2015. Kieron Gillen and Jason Aaron proved to be a formidable duo with ‘Vader Down,’ but can they match the first team-up? ‘The Screaming Citadel’ launched with last week’s one-shot, and wowed Star Wars fans all over the galaxy. 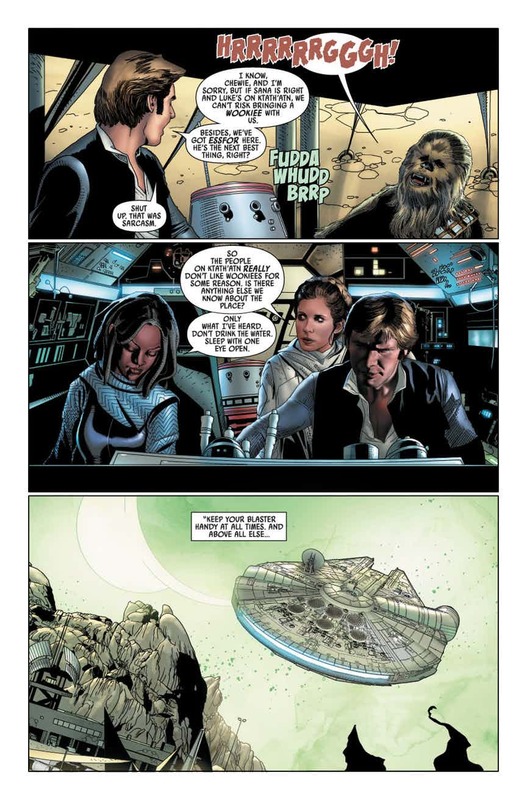 Unfortunately, Star Wars #31 doesn’t quite keep up, as it all feels a little too predictable. 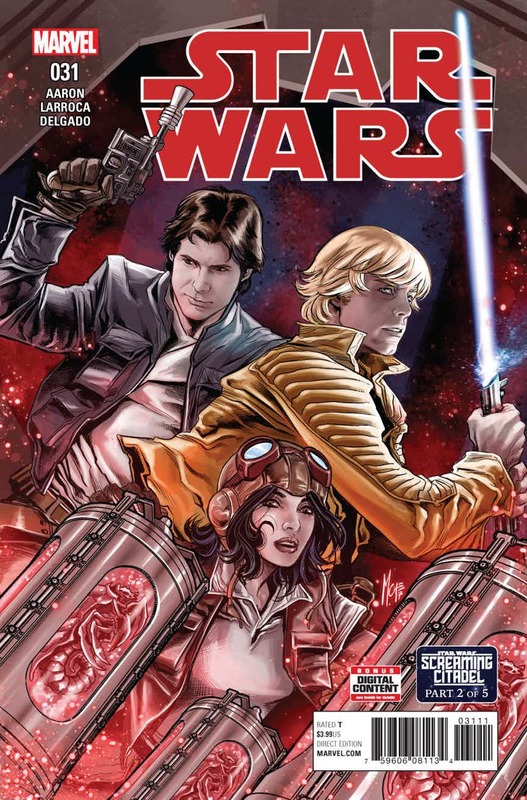 We know the Queen can’t be trusted, so Aaron gets it out of the way, unveiling a dangerous new lifeform to threaten Luke Skywalker and Doctor Aphra – who, of course, wind up on the run. 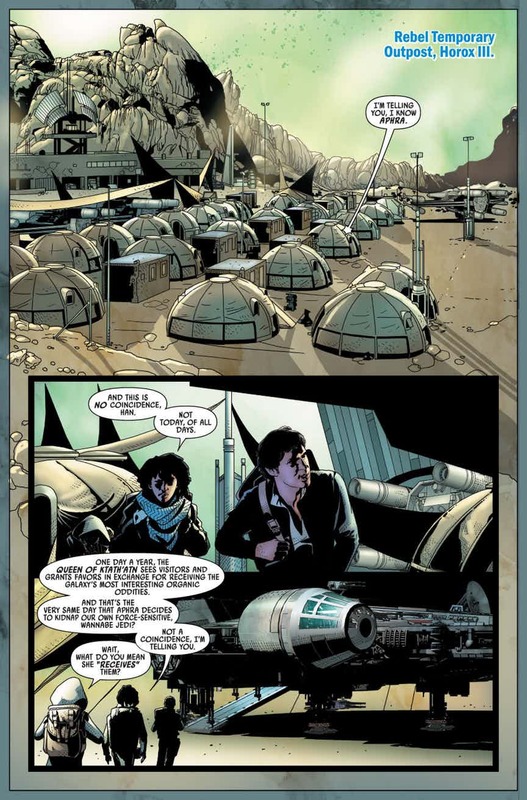 Meanwhile, in a secondary plot, the Rebels work out that Aphra has taken Luke and deduce where they’ve gone. This, actually, is the most annoying thing of all; that Sana is able to immediately deduce what world Doctor Aphra took the wannabe-Jedi to. In an event packed with new and unusual lifeforms, this move makes the Star Wars galaxy feel small again. I mean, out of all the millions of star-systems in the GFFA, Sana’s got the planetary orbit of this Gothic world memorized? How do you even do that, bearing in mind each world will have its own orbit, and thus a different length of day in the first place? Something about this just strains credulity, and turns Sana into a mere plot device. She deserves better. I’ll say this for Jason Aaron, though; he really does get his characters. 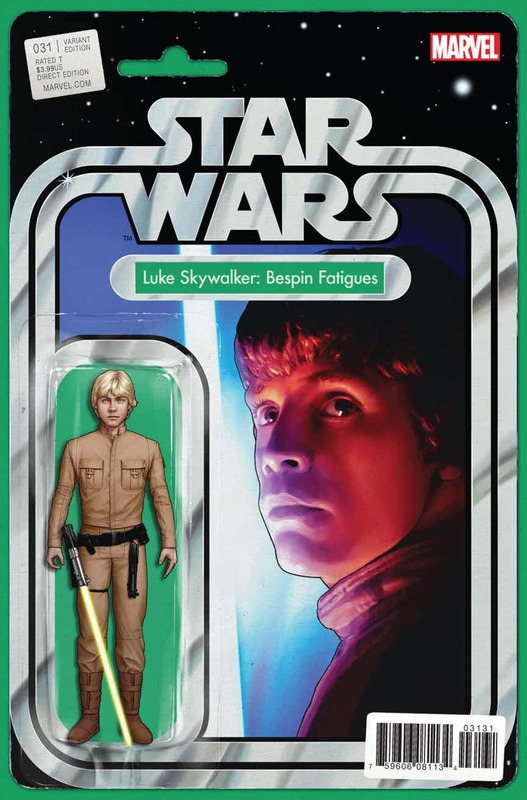 He can’t quite replicate the spark between Luke and Doctor Aphra that we saw in The Screaming Citadel #1, but he comes close enough. Aphra’s trademark wit shines through so very well; her caustic sarcasm is wonderfully entertaining, matched only by the Queen’s. Unfortunately, I admit, I’m struggling to get a read on the Queen as a character. She’s essentially the Star Wars equivalent of a vampire, that much is clear, but what is she like? 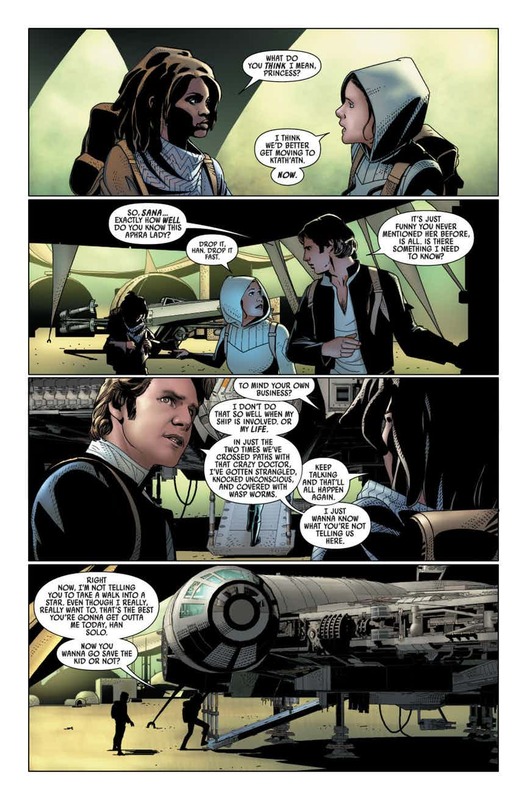 Aaron basically makes her a witty reflection of Doctor Aphra, and we don’t get much other than one-liners about being hungry. Salvador Larroca is, of course, a phenomenal artis, but unfortunately he suffers a little in comparison to Marco Checchetto, the artist on The Screaming Citadel #1. There are occasional panels that truly stand out – particularly the rendering of facial expressions – but on the whole, Larroca feels a lot less confident in the world-building. All in all, this is an acceptable issue, but ‘The Screaming Citadel’ really needs to pick up the pace. We’ve gone through the by-the-numbers part of the plot, and it’s time for something fresh and original now. 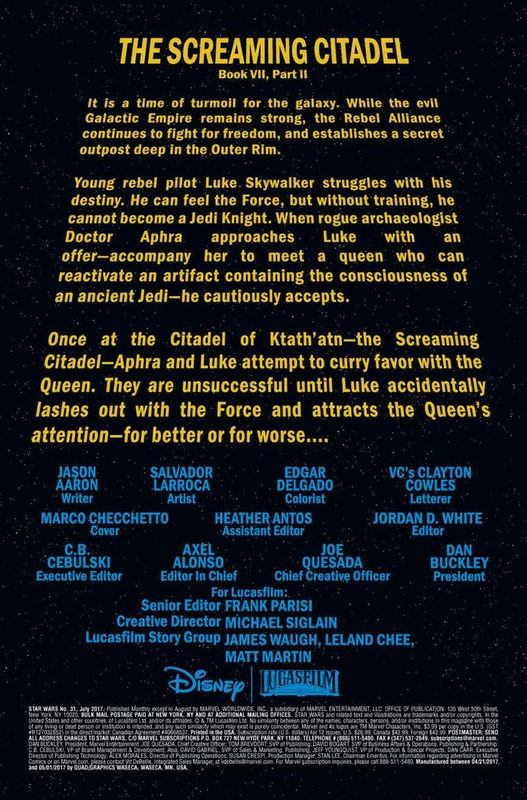 Gillen and Aaron have already proved they can work together to make some of the best Star Wars stories to date. Now, though, they need to prove themselves once again. Aaron’s Star Wars run has been flagging a little of late, and it really needs to pick things up once more.